One of Frank loyd Wrights most famous homes. Fallingwater. 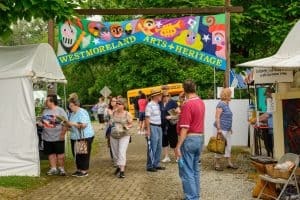 From architectural wonders and exotic animals to unforgettable events and remarkable historic sites, the Laurel Highlands is an ideal place to get away, enjoy the great outdoors and find your adventure. 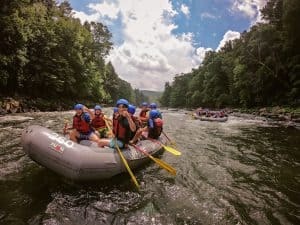 With brand new places to stay, events to participate in and attractions to see, 2019 is a great year to visit Pennsylvania’s Laurel Highlands. The first transcontinental highway in the United States, the Lincoln Highway was created in 1913. Today, it stretches from Times Square in New York City to San Francisco, with 70 scenic miles weaving through Pennsylvania’s Laurel Highlands. The creation of the historic road meant vacation destinations weren’t limited to locations serviced by the railroad. The options were endless and families could explore the country at their own pace. What started in 1959 as a small yet significant collection of American art is now a modern space with 3,400 objects of fine art from more than four centuries, including a stunning Tiffany window, Homer Winslow pieces and the country’s largest collection of Fraktur, a combination of decorative art and gothic calligraphy on important documents such as birth certificates or marriage licenses.The Westmoreland Museum of American Art, located in downtown Greensburg, does a phenomenal job of honoring the region by showcasing artwork reflecting its industrial and agrarian heritage in the stunning McKenna Gallery. The museum is very kid-friendly, with rooms dedicated for little ones to get creative and hands-on, art classes and summer camps. In late 2018, the museum eliminated the admission fee to ensure the facility is accessible to all. In early 2019, Historic Hanna’s Town will unveil its brand new history education center, which will serve many purposes to visitors. For the first time, items will be taken out of storage and be displayed, thanks to the brand new exhibit space. The exhibit gallery will also showcase items from other regional historic groups. 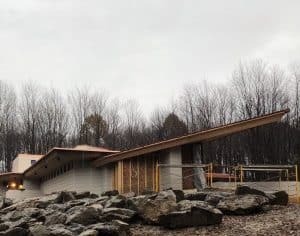 The multipurpose room will be utilized for year-round programs, classes and events for all ages. And as if the center isn’t cool enough, a laboratory will be home to significant portions of the historical society’s archaeological artifacts, available for research by professionals and students. A magnificent mountainous region, the Laurel Highlands spans 3,000 square miles in southwestern Pennsylvania. 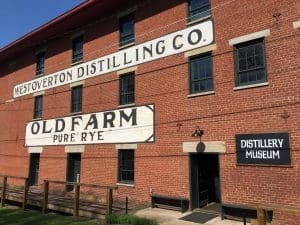 Located an hour east of Pittsburgh, the beautiful four-season destination offers some of the most spectacular natural scenery, outstanding outdoor recreation, historic sites and attractions, family activities and world-class resorts. Notable destinations within the region include four architectural masterpieces by Frank Lloyd Wright – Fallingwater®, Kentuck Knob, Mäntylä and Duncan House – Nemacolin Woodlands Resort, Seven Springs Mountain Resort, Flight 93 National Memorial, Idlewild and Soak Zone, whitewater rafting at Ohiopyle State Park and more. Editor: Trust me I’ve visited most of what is mentioned here and there is even more. ← Run in a Quarry in Columbia SC?